Many times what begins as a simple anecdote ends up becoming a tradition and giving rise to one of the most beautiful and colorful villages in Europe. 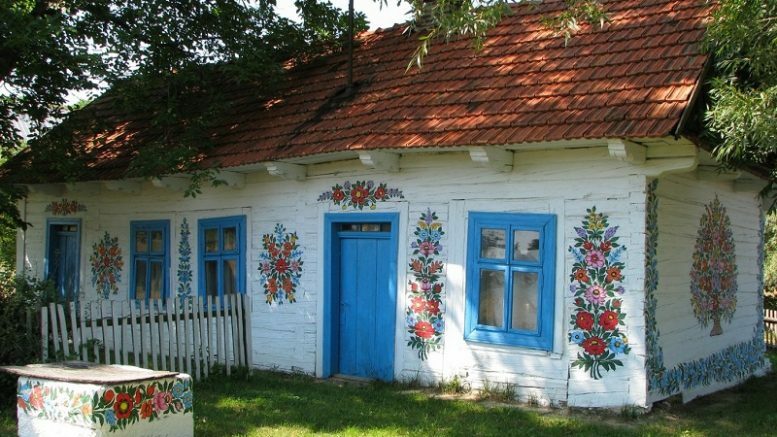 Zalipie is the Polish city of colorful flowers in their homes and this makes it essential place in small getaways. Upon arrival we will not find five – star hotels and large buildings, but wooden farmhouses decorated with bright colors and lots of flowers; Even if you are lucky enough to be able to get into one you can see that that floral explosion starts from inside. So Zalipie, which is a mere 90 minutes from Krakow. In the eighteenth century, a neighbor decided to paint a flower species to cover soot stains to leave the fireplace, and others followed behind her. And put, they were encouraged to decorate walls, doors and even windows, so that it became a tradition that reaches its best in spring, Corpus Cristi with a competition dating back to 1948. His name is Malowana Chata and original purpose, and started as an idea to help Poland to recover psychologically from the Second World War. Eventually what began on the walls of the farms was spreading throughout the town, its streets: almost nothing is left undecorated, from the churches to the trees, past the dog kennels and making a stop at the gates Of the chicken coops. In his early drawings, they were much simpler than now, because in addition had no material but made his own brushes with wood and hair tails of their cows. In addition, the colors also made them. Little by little, the designs evolved to the elaborate flower bouquets we see now. Repainted houses once a year, and the choice of the time, the Corpus as mentioned before, it was purely for reasons of workload, because there were more liberated. 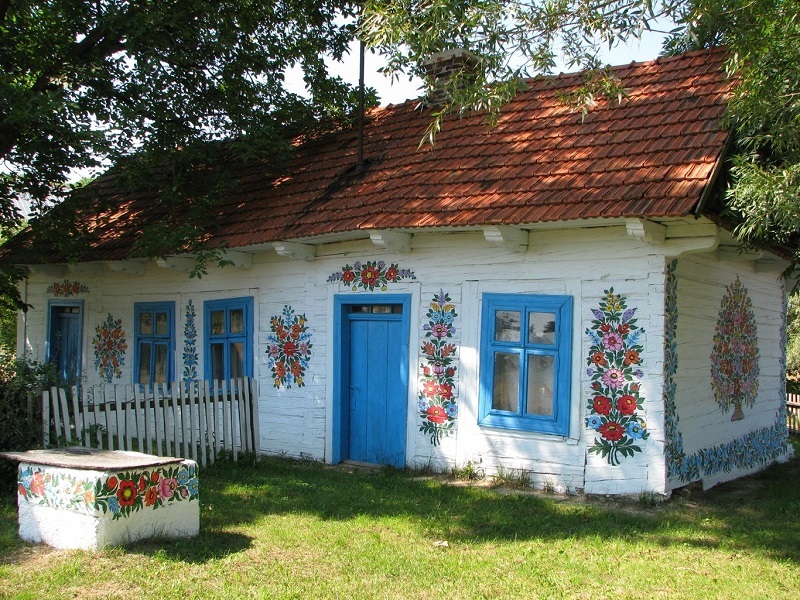 One of the inhabitants of Zalipie, Felicja Curylowa, became obsessed (in a good way) more than anything and ended his farm turned into a museum after his death, being one of the most colorful of all the people. A little thing, this year, the Malowana Chata be the 17 and 18 June, for if you happen to coincide with a visit to Poland that do them within your path. Be the first to comment on "Zalipie, the Polish city of colorful flowers"